Looking for a Queen Anne apartment for rent? Henry offers the location, floor plans, and amenities you desire. Henry offers 22 different unit layouts, ranging from studios to a variety of one-bedroom options that include open, traditional, lofted, and even live/work floor plans. Each unit is equipped with upgraded amenities such as stainless-steel appliances, quartz countertops, chic wood style flooring, patios and balconies, and a washer and dryer. Residents can also enjoy our community amenities like our rooftop deck with grills, resident lounge, and our guest suites. Henry is nestled within the greenery and tree-lined streets of North Queen Anne, where you can enjoy a quiet, tranquil setting while still being near great schools, local employers, shopping, and outdoor fun. Contact us today to learn more or to schedule a tour! You’ll love the sleek, contemporary feel of the apartments at Henry. Live a little larger in select units with extra-high ceilings, private decks, walk-in closets and upgraded bathrooms. 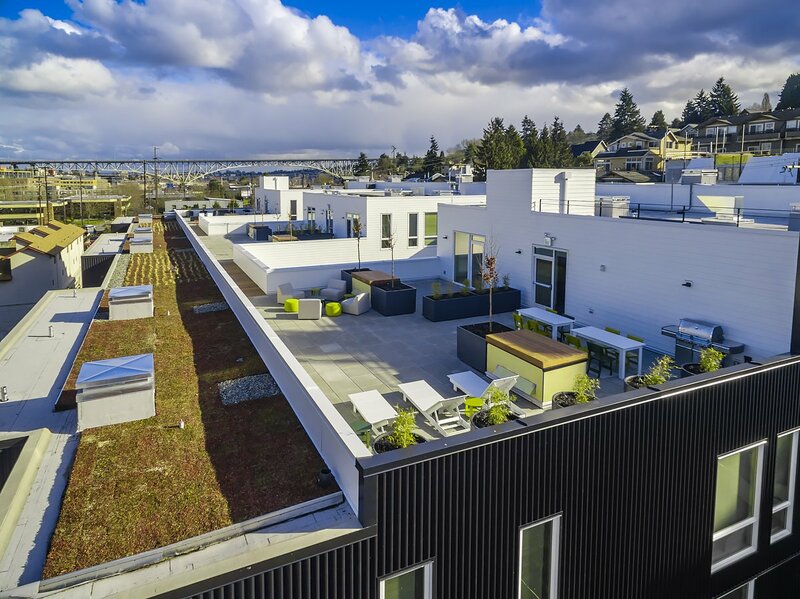 Two open-air courtyards, two rooftop decks and a resident lounge provide plenty of space to mingle with other residents or entertain friends. A truly Seattle-centric building, Henry features new artwork by the one-of-a-kind local muralist Ryan Henry Ward.